Our mission is to get God’s Word to every person, including the millions who cannot read or do not have the Bible in their own language. 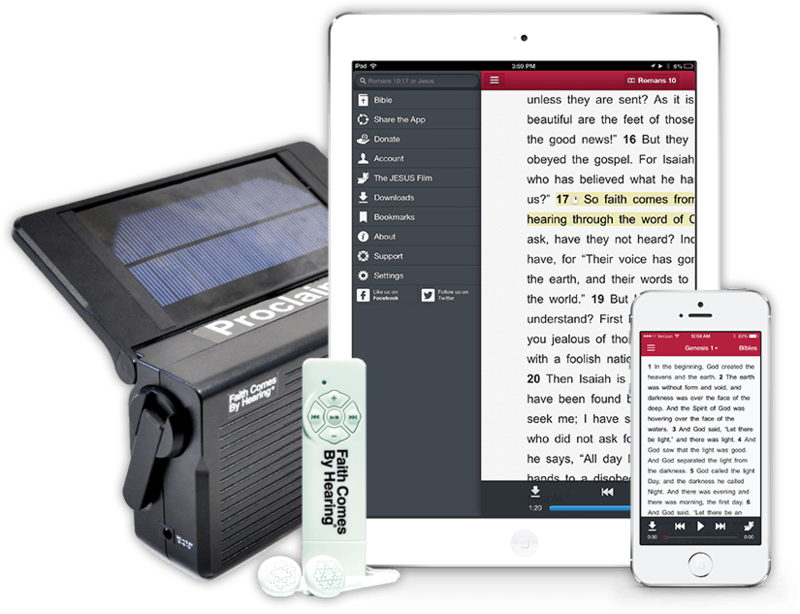 We do this by recording the Audio Bible in every language and freely sharing it using the latest technology. Every person deserves free access to the Bible in their heart language. Together we can make that a reality. Sometimes we use satellites; sometimes we use streaming. To reach the world, we’re using methods as revolutionary as the Book being shared. A mission this big can only be accomplished through partnerships with like-minded organizations and people like you.